F-35 helmet bug means only expert pilots can do night carrier landings, reports military.com. The Navy is close to fixing the technical bug dangerously hinders nighttime carrier landings. 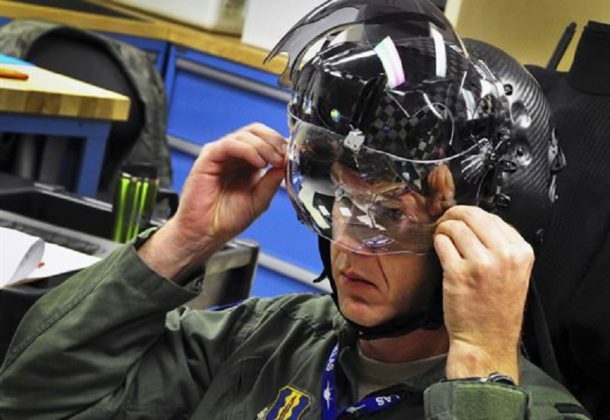 F-35C pilots describe the bug as a green glow spilling from LED technology in the helmet-mounted display, preventing them from seeing a carrier’s lights. Defense News has video of the F-35C’s first-time-ever fight operations on a US carrier. US airstrikes in Afghanistan highest this decade, reports Military Times. DefSec Jim Mattis warned against using private contractors in Afghanistan, despite no date in sight for nearly 14,000 troops to return home, reports military.com. “When the Americans put their nation’s credibility on the line, privatizing [war] is probably not a wise idea,” Mattis said. Virgin Orbit nears captive-carry attempt with LauncherOne, reports Aviation Week. The rocket is to launch from beneath the wing of a modified Boeing 747-400 carrier aircraft, a key milestone toward orbital launch. The USS Harry Truman strike group has left Norfolk once again, reports Pilot Online. A little more than a month after its surprise return to Naval Station Norfolk as part of a new defense strategy, the Truman and its 6,500 sailors returned to sea. Because DefSec Mattis wants unpredictable flattop deployments, says Navy Times, the retired Marine four-star general is getting his wish. The filmmaker behind massive hits like “Independence Day” and “The Patriot” selected Oahu after scouting locations around Pearl Harbor for a remake of the 1976 movie “Midway,” starring Charlton Heston and Henry Fonda, about the decisive 1942 naval battle that became a turning point for US forces in the war in the Pacific, reports Navy Times. A shift in DoD policy will now “continuously” monitor financial data on service members with security clearances, those with low credit scores or past-due bills could be at greater risk of losing their clearances, military.com reports. Military Times reports a study in the Journal of Traumatic Stress found military veterans who identify as lesbian, gay, or bisexual are twice as likely to experience sexual assault on active-duty than non-LGB service members, increasing the likelihood of enduring symptoms of post-traumatic stress disorder or depression later in life. International Business Times reports the US goods trade deficit widened sharply in July as exports of agricultural products tumbled, suggesting trade will likely drag on economic growth in the third quarter. The Commerce Department said the goods trade gap surged 6.3 percent to $72.2 billion last month. Exports of goods dropped 1.7 percent to $140.0 billion, weighed down by a 6.7 percent plunge in shipments of food, feeds, and beverages. Lawmakers in both parties say President Donald Trump’s trade deal with Mexico could founder in Congress without Canada included on board, according to Reuters which also reports Canada’s top trade negotiator rejoined the NAFTA talks. A federal court has struck down North Carolina’s congressional map, calling it an unconstitutional partisan gerrymander and throwing the state’s House elections into uncertainty just 10 weeks before Election Day. Politico reports that a three-judge panel ruled that Republican state legislators had violated the First Amendment and the equal-protection clause of the Fourteenth Amendment when they drew congressional lines that favored their party. Ten of the state’s 13 House districts are held by Republicans, despite the state’s political competitiveness. Serco Inc., Herndon, Virginia, was awarded a $14,361,472 labor-hours contract for staff support augmentation services. Bids were solicited via the internet with two received. Work will be performed in Rock Island, Illinois, with an estimated completion date of Sept. 4, 2019. Fiscal 2018 other procurement, Army funds in the amount of $1,920,140 were obligated at the time of the award. 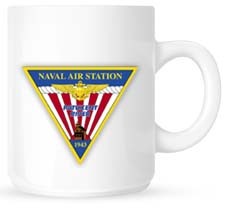 US Army Contracting Command, Rock Island Arsenal, Illinois, is the contracting activity (W52P1J-18-F-0110). Booz Allen Hamilton Inc., McLean, Virginia, is awarded $17,559,070 for a firm-fixed-price, cost-plus-fixed-fee, one-year task order (M95494-18-F-0009) under a previously awarded General Services Administration (GSA) One Acquisition Solution for Integrated Services (OASIS) contract (GS00Q14OADU108) for Marine Corps Installations Command Headquarters directorate wide professional services. The services procured include: program management; logistics program support; information technology program support; operations support; planning support; government and external affairs support; facilities support; and enterprise content management support. This task order includes four one-year option periods, which, if exercised, could bring the cumulative value of this task order to $82,262,555. Work will be performed at McLean, Virginia (54 percent); Arlington, Virginia (35 percent); Marine Corps Base Camp Butler, Okinawa Prefecture, Japan (4 percent); New Orleans, Louisiana (2 percent); Marine Corps Base Camp Pendleton, California (2 percent); Marine Corps Base Camp Lejeune, North Carolina (2 percent); and Charleston, South Carolina (1 percent). Work is expected to be completed Aug. 31, 2019. If all options are exercised, work will continue through Aug. 31, 2023. Fiscal 2018 operations and maintenance (Marine Corps) funds in the amount of $1,573,147 will be obligated at the time of award and will expire at the end of the fiscal year. This task order was competitively solicited via GSA OASIS, with three proposals received. The Marine Corps Installations Command, Arlington, Virginia, is the contracting activity.